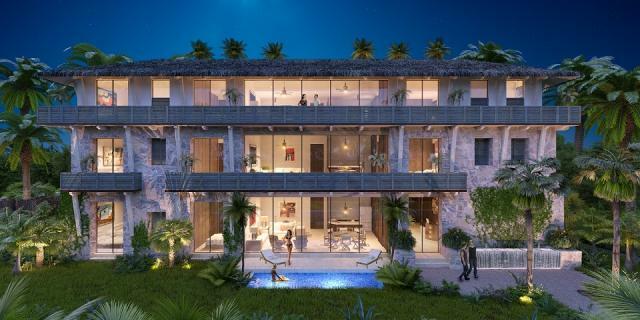 Puerta Azul by Artigas is one of Tulum's newest developments that provides a unique concept in living space. Its architectural design promotes a sense of comfort and subtleness. 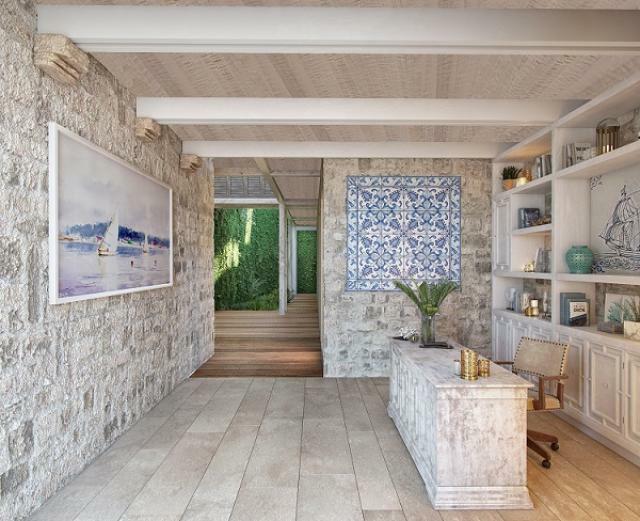 Each room creates a special feel that adapts with the outer surroundings. 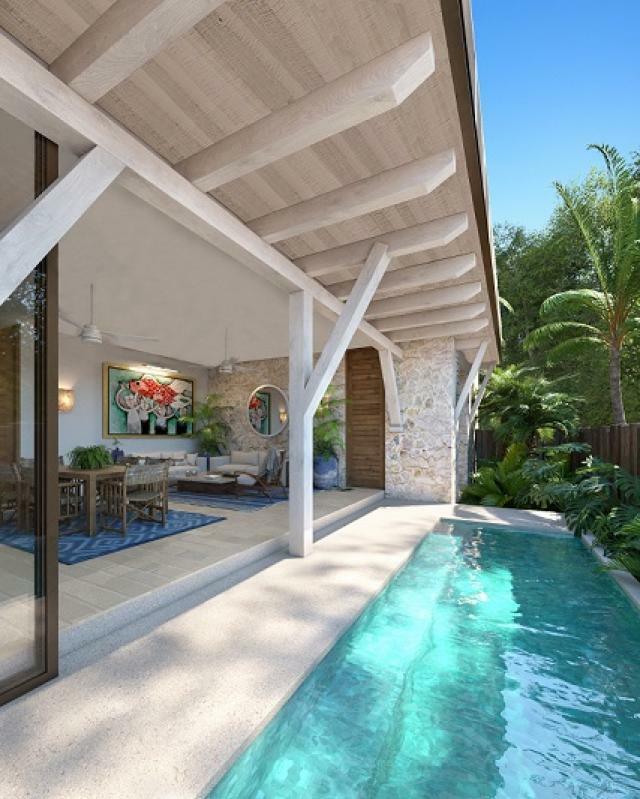 Puerta Azul is becoming a lifestyle that is trending throughout the Riviera Maya. 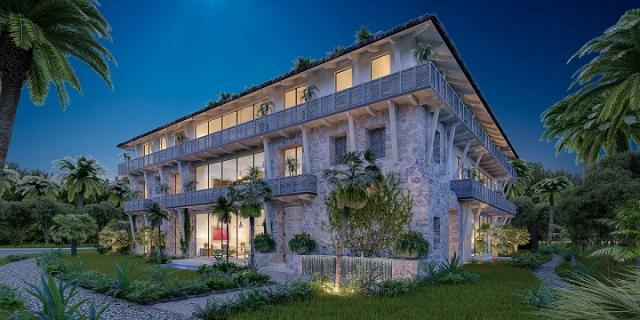 Situated within a lush tropical landscape, Aldea Zama is one of Tulum's most up and coming communities. 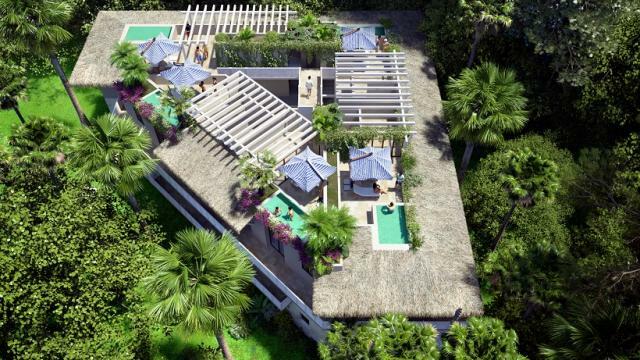 It is centrally located between Tulum's downtown Pueblo, the Mayan ruins and world class beaches. 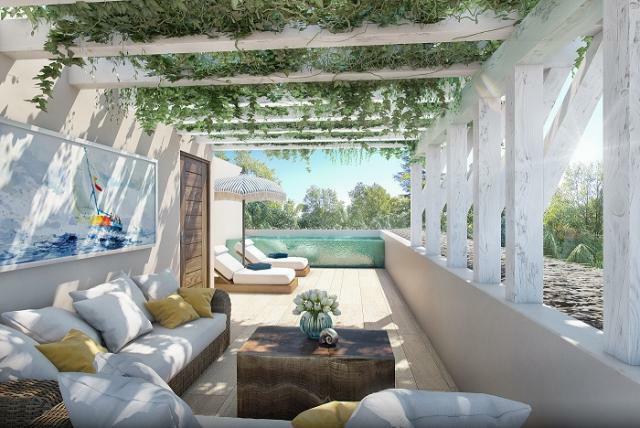 Puerta Azul is a new development that will include such modern conveniences like drinking water, engineered drainage, and underground utilities to mention just a few of its amenities. It is also just minutes away from the hotel zone, many well know restaurants, and a variety of shops. 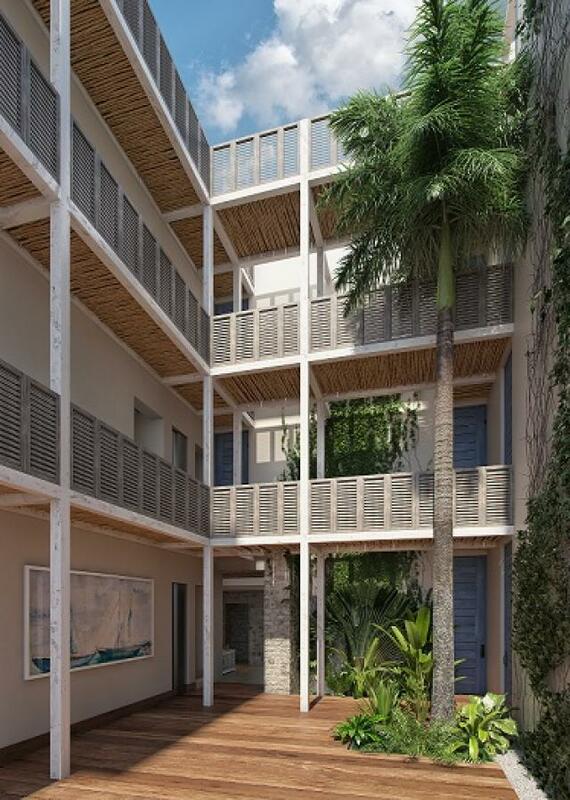 These beautiful condominiums offer a total of 193.18 square meters (2,079 sqft.) of fun living. 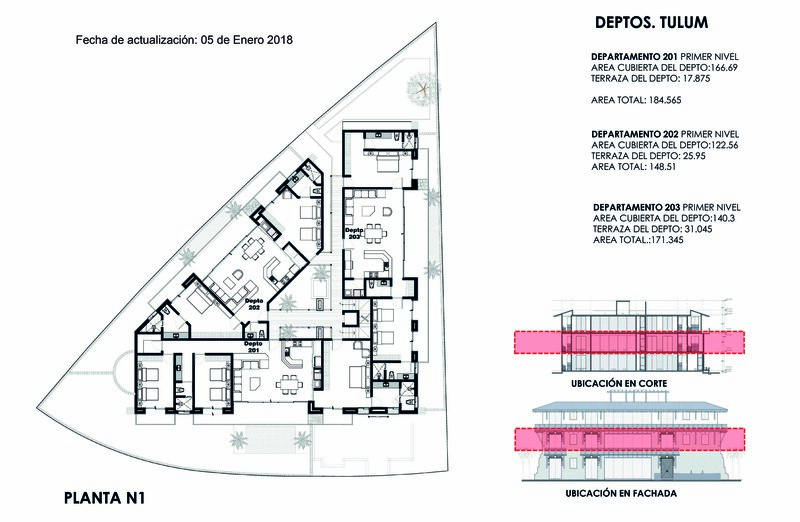 The 129.46 m2 (1,393 sqft.) 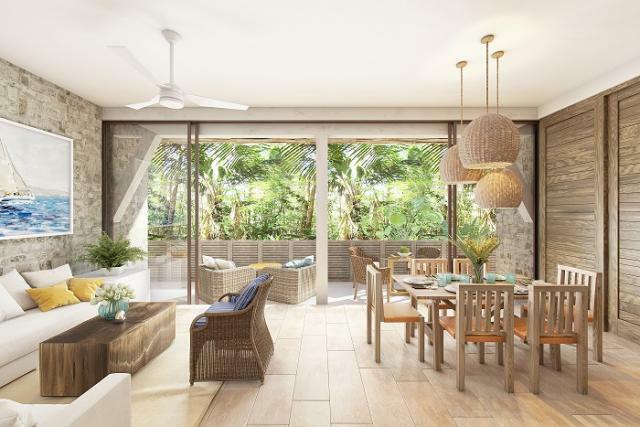 of spacious living includes two bedrooms each having their own ensuite bathrooms, dedicated living and dining rooms, full kitchen, a private terrace (178 sqft. ), pool (116 sqft.) and garden area (392 sqft.). Tulum is one of Mexico's true hidden Paradises that offers amazing white sand beaches and turquoise Caribbean water. All this being intertwined with nature at its finest. Come explore the majestic scenery while experiencing the Mayan culture. 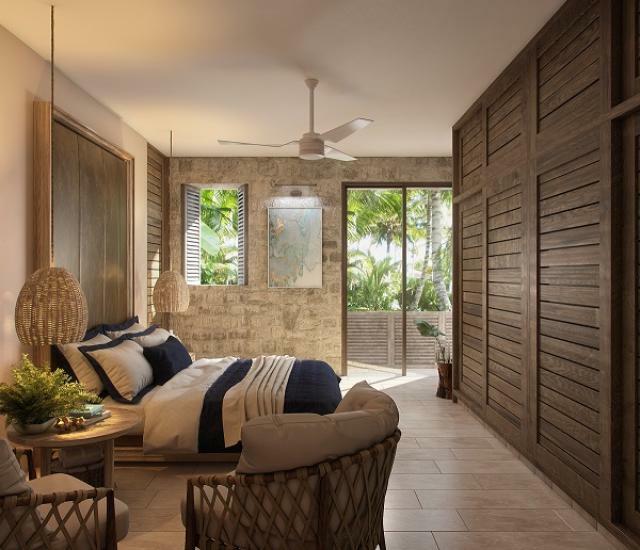 Artigas architects aim to transmit an architectural concept based on a sensory experience which is reflected on Puerta Azul's design. And to complete this magical experience, Puerta Azul happens to be located in a beautiful town: Tulum. Contact Top Mexico Real Estate and ask about availability and prices. One of our professional agents will be more than happy to answer any questions you have. 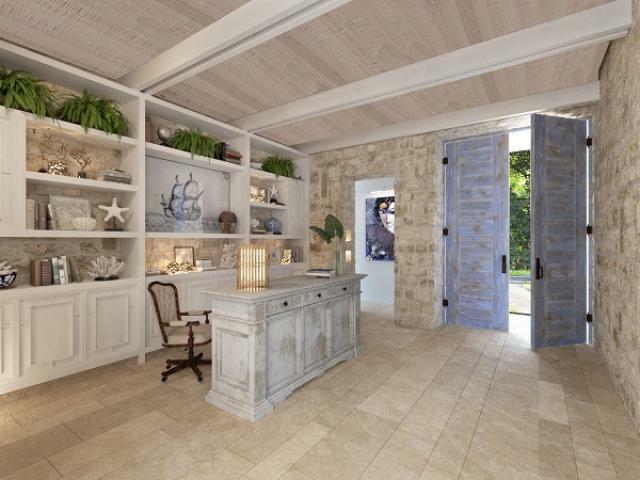 Owning a piece of paradise is only a phone call or email away.